“No one stole my comic! A huge group of webcomic artists started planning this 2-3 weeks ago. Actually, at Fan Expo last year I am ARG and I found out we’d both been independently scheming to do something like this for years. The plan came together when Dorris McComics suggested the idea to a webcomics group and pitched this script, which was just PERFECT for the prank. Those supporters would have had a very hard time – you can find an enormous list of just some of the webcomic “copies” here. @WillPJK @IamArg @dorrismccomics …the group organically got behind it and everyone did their own thing with it. @WillPJK @IamArg But @dorrismccomics definitely provided the base comic we all worked from. @rockpapercynic @WillPJK @dorrismccomics yeah it would have been nothing without everybody executing flawlessly. @IamArg @rockpapercynic @dorrismccomics So how many were in the original group? @IamArg @rockpapercynic @dorrismccomics By which I mean the people who didn’t see the copies and then make their own. @WillPJK @rockpapercynic @dorrismccomics whose to say that those that jumped on afterwards weren’t apart of the whole goof too? This post will be updated if I get a reply to that. Be sure to subscribe via Facebook or Twitter.
.@rockpapercynic @IamArg Congratulations, @dorrismccomics, on the birth of your 25,000 children. 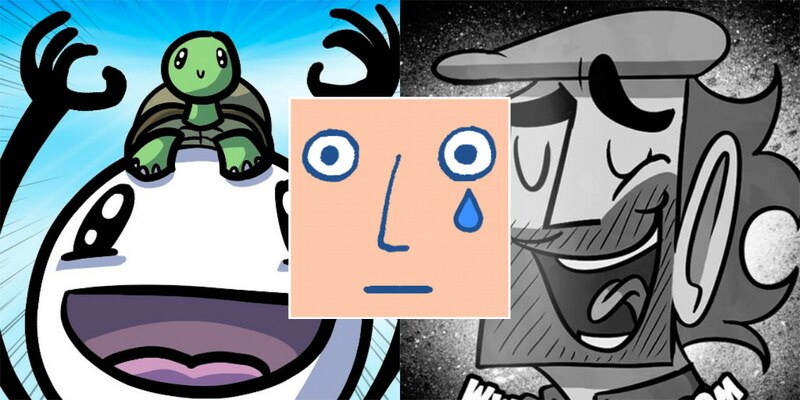 Image: the Twitter profile pictures of Rock, Paper, Cynic, Dorris McComics, and ARG! It is difficult for a cartoonist to make an April Fools’ Day joke stand out; almost every strip releases at least one, and isn’t making fools of people what most comics do every day? This year however, something truly special has happened. THERE is a light at the end of the tunnel for frustrated V/Line commuters with confirmation a further 43 rail services will be restored later this month. Morning sunrise from the International Space Station, taken with the 800mm lens Posted by Tim Peake on Monday, 22 February 2016 Have you ever wondered what sunrise looks like from low Earth orbit? Tim Peake has you covered.